Holiday season is coming – time for family meetings, gifts and fun. All those things will be provided to you by Netflix. Several blockbuster titles, a lot of Netflix originals and tons of other shows, movies, and series will gift you and your nearest and dearest with fun. Since it’s Christmas holiday season, you will find three Disney’s Santa Clause movies, actor-turned-director Andy Serkis’s Mowgli: Legend of the Jungle with a star-studded cast including Benedict Cumberbatch, Christian Bale, Cate Blanchett, and Naomie Harris, among other high-profile actors or post-apocalyptic thriller Bird Box with Sandra Bullock. 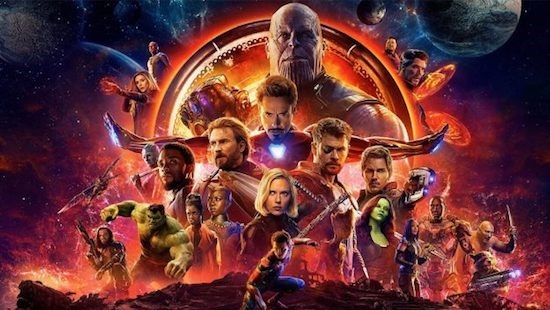 On top of it all, for all those who did not catch it in theaters, Netflix brings you Avengers: Infinity War, a record-breaking Marvel Studios blockbuster that is an absolute must-watch for all Avengers fans and an incredibly entertaining movie to watch for everyone else. Netflix, as usual, also brings you an abundance of popular series including The Crown, Peaky Blinders, Dark and The Magicians and several Netflix Original movies and series. The list of all titles coming to Netflix this month can be found right below. Unblock the service with Smart DNS Proxy (it’s simple – just sign up with us for a 14-day free trial, set up your device and you’re good to go) and enjoy the holiday season with us. There are several titles that will be leaving the streamer this month so make sure you catch up with those that you missed. Go through the titles that expire on Netflix this month and watch them with Smart DNS Proxy. The list of movies that will no longer be available throughout December is right below.